Welcome parents and students to week 1 of this year! I hope you have had a wonderful holiday and are ready to jump head first into Science. Navigate your way through any extra resources or activities I have added here, to get the most out of your Science education! I am excited, are you? As this was just the first week back at school after the lovely restful summer holidays, we slowly eased back into learning by talking about science room rules and expectations. I have extremely high expectations for all my students and want them to adopt a growth mindset. In science, we see every failure as one step closer to success and we don't give up if it seems too tough. This week, we just begun getting our interactive science notebook set up by colouring our front cover and gluing in our table of contents page. Why do we use an interactive science notebook? We use an interactive science notebook to record what we see, hear, feel and think so that we can look at it later. What does an interactive science notebook include? 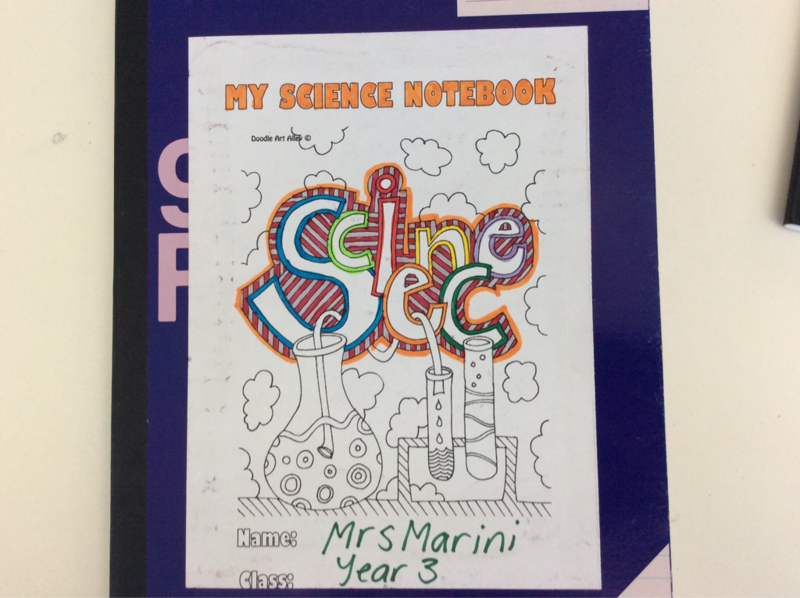 An interactive science notebook is well organised and includes dates, titles and times. It might include written text, drawings, measurements, labelled diagrams, foldables, photographs, tables and graphs.